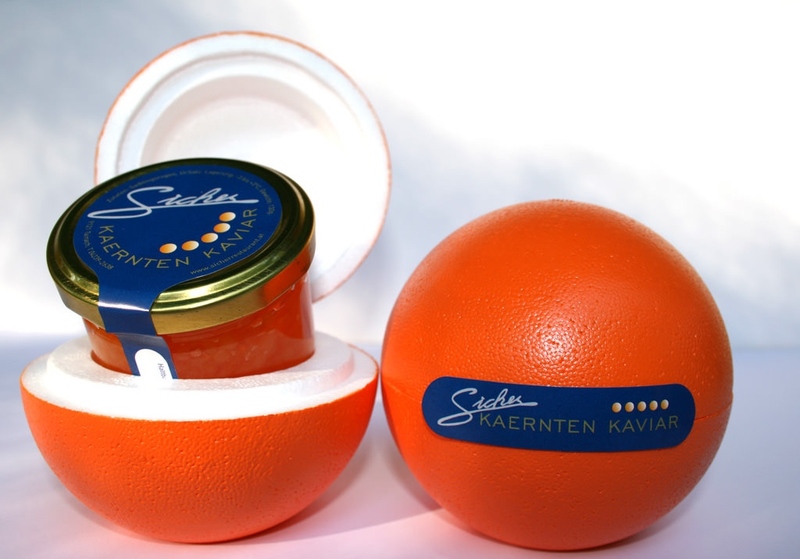 Entwined by many myths, caviar is well-known as a culinary drug. Those who eat caviar, love well and eat healthily. Every now and then, a pure spoon of caviar – not only a culinary delight but also a delight for one’s well-being: caviar is healthy and exquisite. Good caviar doesn’t need artistically-created dishes to shine, but instead impresses the palate of any gourmet with its own, unique flavour. Just be sure that the spoon chosen to enjoy the caviar with is not too small! Salt is used to preserve the roe, and also to awaken its delicate flavour. The milder the roe is salted, the stronger its wonderful flavour is on the palate. Our caviar is both mild and delicate, not sour, nor bitter. The eggs have a nice sheen, and are firm but not wet. 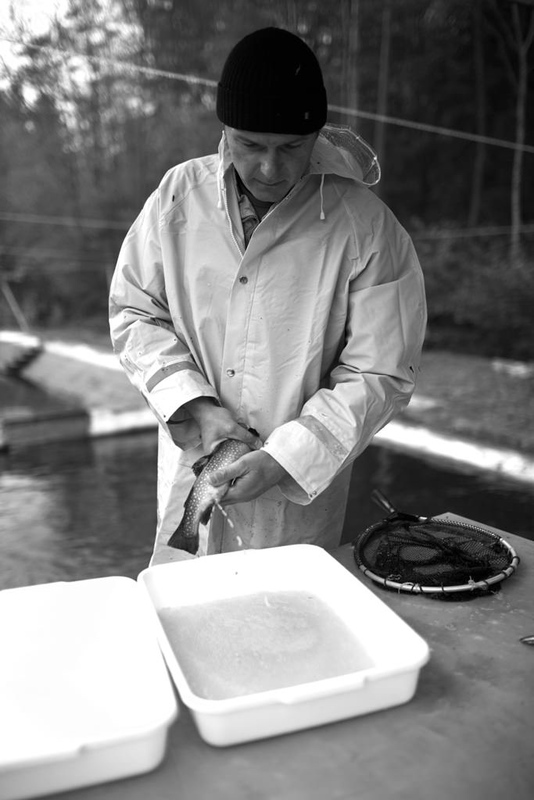 Each year, in autumn, the unique char caviar – which is now well known beyond Carinthia – is harvested. 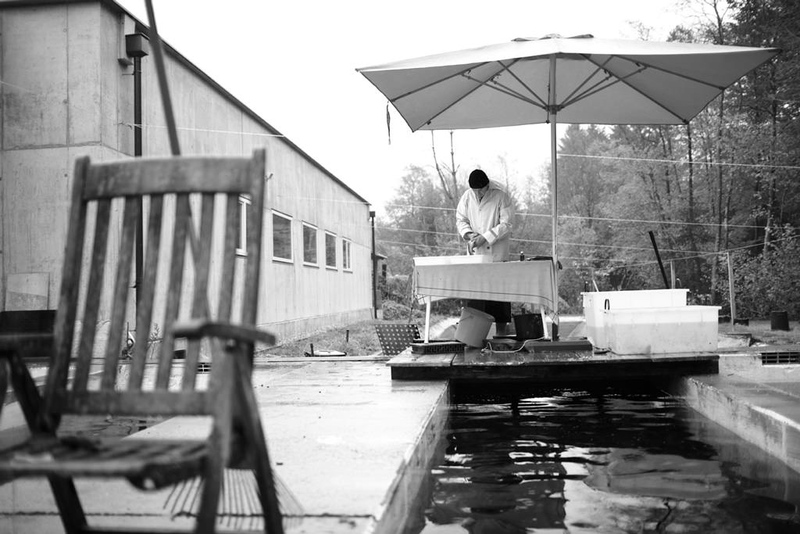 Using a specific process, developed by the Sicher family, the caviar is preserved in a completely natural way. 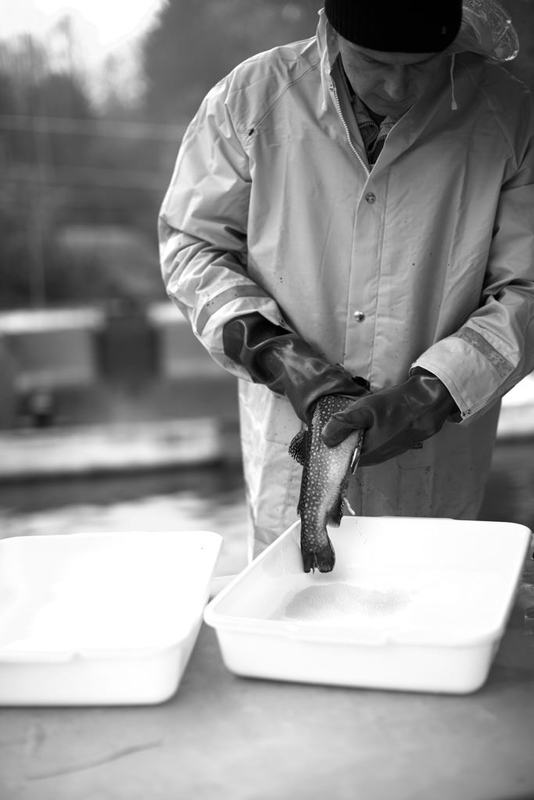 Char caviar is harvested from the end of October until the beginning of December, whereby the considerate and species-appropriate keeping of the fish is a highly important concern of ours. 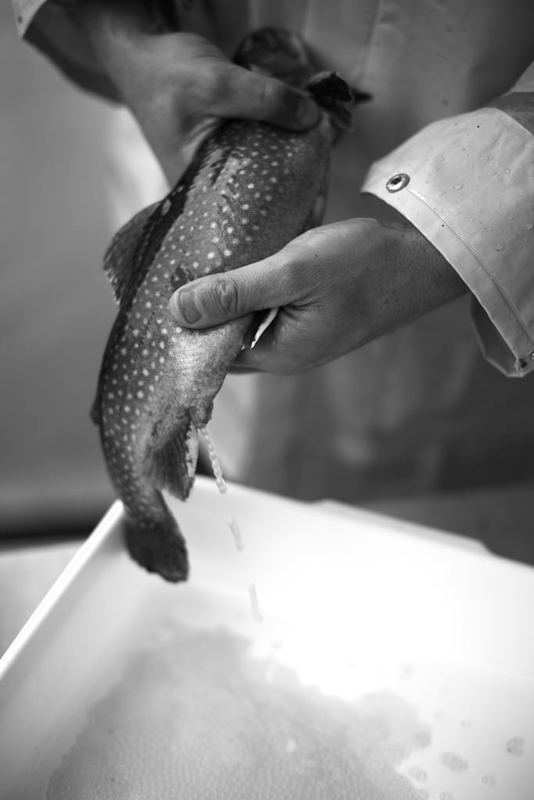 Our fish are not harmed in any way during the harvesting process, and the roe is only harvested at its peak maturity level. You are therefore presented with a product that stems from happy fish, whereby the quality of the product is enhanced only by a mild seasoning with top quality salt. 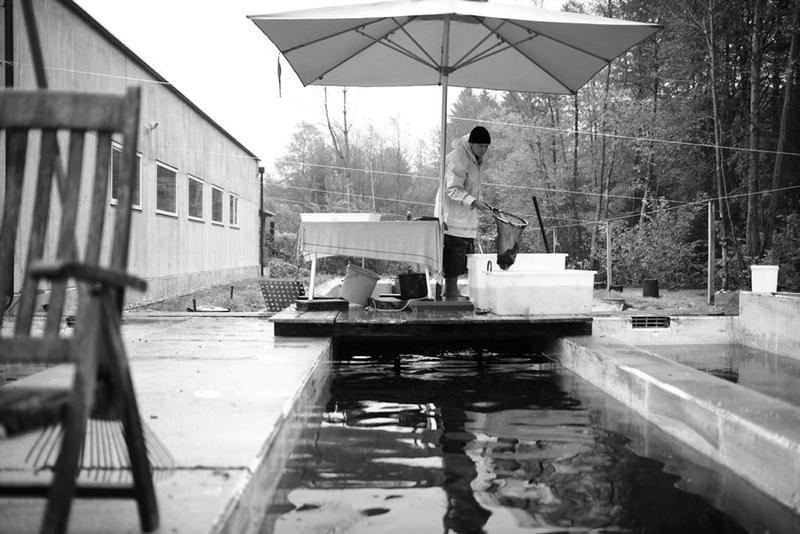 This allows our char caviar to keep for up to 6 months, when kept at a constant temperature (+3 to -3 degrees celsius). In 2012, Sicher was awarded with the Coq d´Or by Le Gouide de Gourmands in Paris. This puts us amongst the top 130 gourmet-producers worldwide. 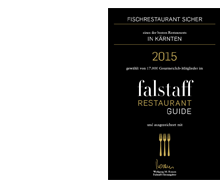 The “Sicher Carinthian Caviar” is of course offered in the Sicher restaurant, but is also featured as the “star of the menu” in many other high-end restaurants both in and out of Austria.